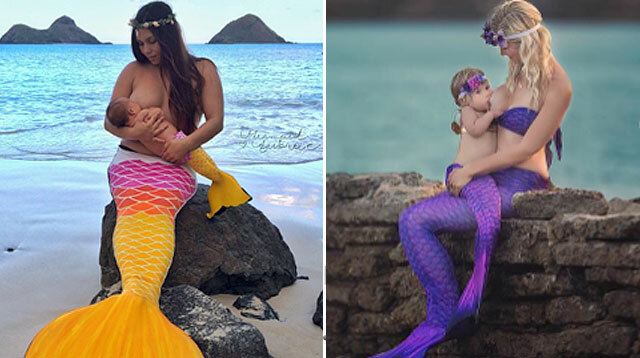 Less than a month after singer-songwriter Alanis Morissette (who has since given birth early this month) shared her underwater maternity shoot, we've found that many moms-to-be are making a splash with the theme as well. 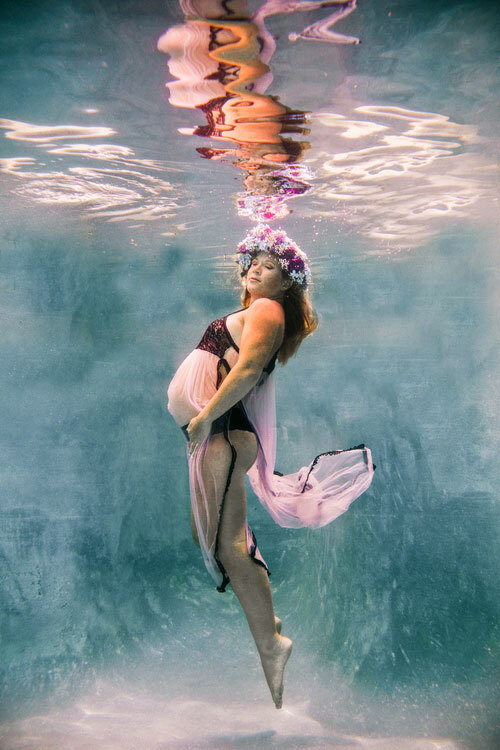 Underwater photography is still rare in our country, but we wouldn't be surprised if a lot of moms-to-be would love to try it when they see these photos. It's unique, cool, and the photos display a delicate and graceful quality that can only be brought out when you're submerged in water. Ethereal is the word that came to mind when we saw Ruth Powell of Ruth Anne Photography works. 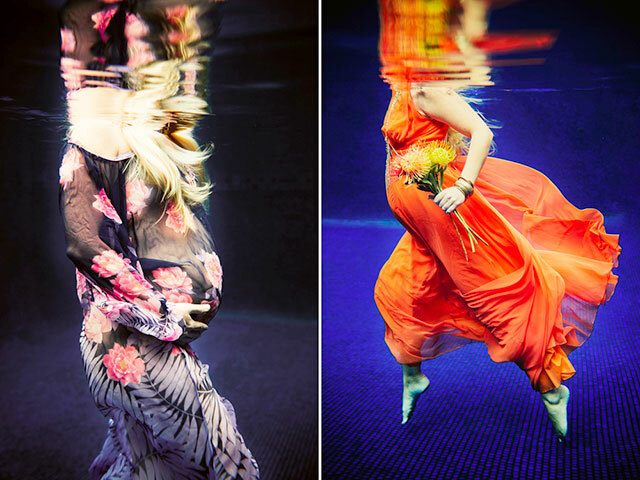 "[I] was so intrigued by the way light looks underwater and the way it creates this ethereal movement in clothing. It’s not something you can create above water," she told Pop Sugar Moms. 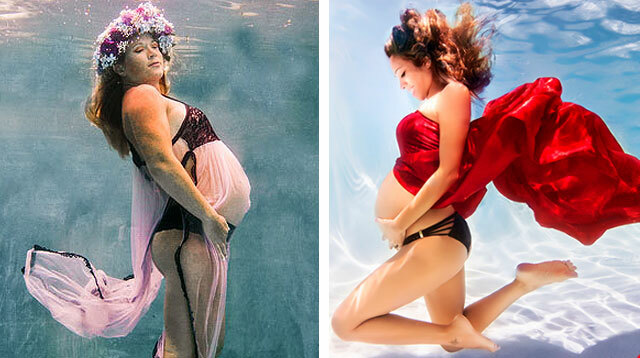 Underwater maternity shoots can be a challenge because of the extra buoyancy of the baby belly. It does take time for the mom-to-be to be comfortable being underwater and looking natural even while holding her breath. So Ruth begins with detail shots (leaving the head above water). Then, she and her assistant teach the expecting mom to expel air from their lungs, and how to let their body naturally float while submerged underwater. "There’s a lightness that’s created with the buoyancy. [There's] something so natural and calming about a mother and child being underwater," Ruth says. Underwater shoots for couple and family are also a thing now--and it's particularly fun for water-loving kiddos. Another photographer we admire is Adam Opris of Adam Opris Photography, whose love for the ocean led him to specialize in underwater photography. "With that great love for water... and by embracing buoyancy and enabling these pregnant women to be free, I am creating magic to capture pregnancy in all of its glory," he wrote on his post on Bored Panda. On pregnancy safety on these shoots, Adam said in Pop Sugar Moms, "I realized that being in the water was not only safe when done right, but recommended for pregnant women, as it is a great way to relieve stress off their backs and joints." "The most rewarding thing about these photo shoots is the feeling of accomplishment I get from my clients when they see the results. Most of the time, they cannot believe they were capable of doing so great, and when they see themselves in the photos, I can tell we just created memories that will always be cherished,” Adam says. 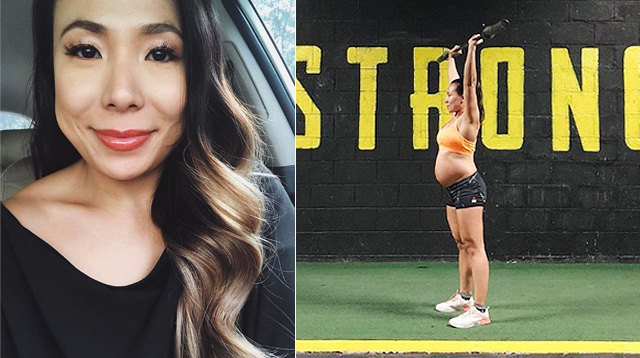 We searched the hashtag #underwatermaternity on Instagram and Pinterest, and so many inspiring photos came up, including maternity shoots with the mom-to-be's partner and older kids! We're calling it right now. It won't be long till moms-to-be and photographers here in the country will take the plunge. See more of Ruth Powell's work on her website, Facebook, and Instagram. Also check out Adam Opris works on his website, Facebook, and Instagram.